← Women Aloud and free podcasts – yup, free! Have you ever wondered how an award is judged? In some case, the procedure is obvious – the public gets to vote, by poll or via email. But what are the alternatives? Having until lately been a committee member of the Romantic Novelists’ Association for some years, I know what immense care is taken over the collation of scores from the early readers to form the longlist and the extra reads that decide the shortlist, which then goes to the judges. But, at the Festival of Romance, aside from being able to see the judges deliberating over dinner on the Friday night, up on a mezzanine floor above the bar, I wasn’t certain how their process of reading panel and judging worked. 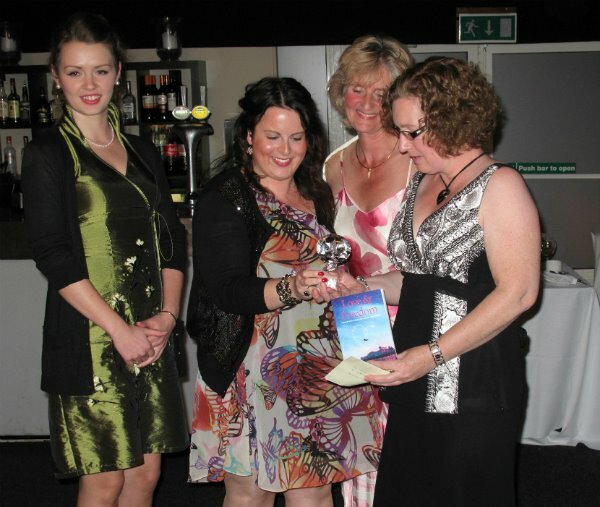 Now, Awards Organiser Jenny Barden has shared the information with us all at the If Shakespeare … blog. It’s really worth reading. I know that I have an interest in the awards, as I was lucky enough that Love & Freedom won the Best Romantic Read Award, but even if I hadn’t, I think I would have enjoyed this post as a ‘behind the scenes’ peek. In common with the RNA awards, the result was a closely guarded secret until the envelope was opened. Kate Allan, Festival Organiser, wasn’t even told! It really makes for a wonderful moment.